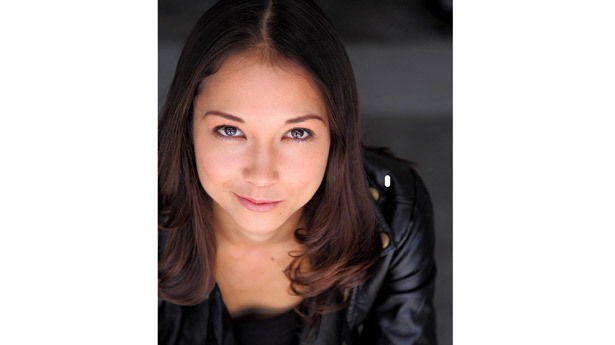 I’ve been quizzing actor Sumiko Braun in this Q&A on her next role in the hybrid puppet-animation film Monster of the Sky. Directed by Sam Koji Hale, Monster of the Sky is an eclectic mix of Dark Crystal, Spirited Away and the Count of Monte Cristo. 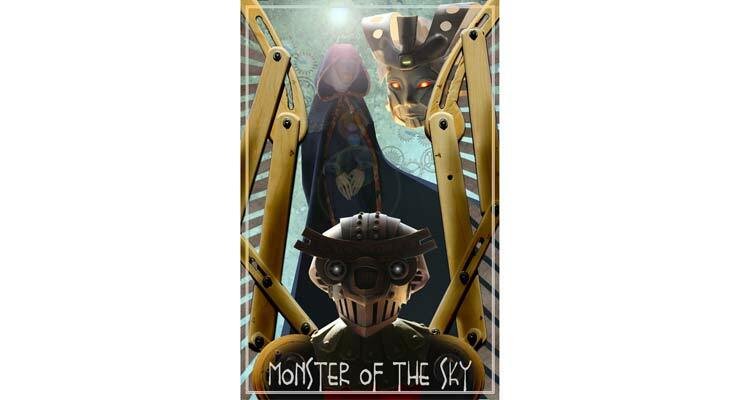 Put those films through a blender and you would get Monster of the Sky, a puppet led sci-fi fantasy about forbidden love, revenge and everything inbetween. 1. Firstly, can you tell me a bit about Monster of the Sky and the role of your character Sky? Monster of the Sky is about Sky, a young, innocent servant who meets winged Prince Tanab and is carried off to the clouds. In her journey, she becomes an idealistic bride who falls from grace and transforms into a goddess of vengeance consumed with the single solitary thought of punishing her lover. Her journey reaches its zenith when she realizes that finding revenge is a destructive emotion that she must escape to find true healing. Sky is pivotal because she and her whole world revolve around this journey from innocent youth to bride of the skies to dark goddess. As she evolves, her Clockwork world is impacted – the clean, uniform, controlled mechanisms of her world start to fall apart as the raw emotion of her broken self shakes the world’s very underpinnings. Monster of the Sky is a metaphor for the personal, transformative journey that we experience as humans. 2. How did you come to collaborate with the director Sam Koji Hale On Monster of the Sky? Did you go through an ordinary casting process or was it different due to the films use of puppetry? Sam and I were featured artists at a 2012 Japan disaster relief fundraiser in Little Tokyo Los Angeles. Sam was showcasing his film Yamasong and I was performing spoken word poetry. We forged a friendship out of our bond as mixed race Hapa Japanese American artists. The possibility of making Monster of the Sky was already being discussed between Stereo Alchemy and Sam, so he was already looking for a lead actress to play Sky. From what he told me, he was looking for a mixed race actress partly out of his belief the future will be full of mixed Hapa types, and he cast me. 3. The films is heavily inspired by the poetry of Lord Byron and as a jack-of-all-trades, you write and perform poetry as well as act. Has this helped your understanding of the production and with characterising the voice of your puppet? Multidisciplinary mixed media collaboration is something I’m greatly interested in, and Monster of the Sky as well as Sam’s previous work embodies that. Music, poetry, puppets, animation, acting, film – this is not something we see amalgamated often in the mainstream. I’ve worked on live theatrical productions that have incorporated music, poetry, and dance, but never a project like this. I think being a hybrid mixed race multidisciplinary performance artist has allowed me to strongly connect with what Sam is trying to accomplish with Monster of the Sky. 4. How will you adjust the way you research, prepare and perform your role for Monster of the Sky to suit films use of puppetry? Regardless of how she is physically shown in the film, puppet or human, I still have to prepare the same way I would for any role. I’ll be on set for most of the filming and will be performing for the puppeteers to study my performance shot to shot so they can re-enact my movement and physicality. What audience will see is my performance interpreted through them, so it’s important I’m strongly connected to Sky’s emotional life, objectives, and needs. 5. As Monster of the Sky will mix your real time performances with the puppetry, how will you have to adapt your performance to suit the motion capture? The real time performance will just be for facial expressions. According to Sam, they may end up using the dots on face approach. Body movement will be puppeteered movement, but it’ll all be based on my performance for the puppeteers. 6. So for the motion capture, you won’t be modelling one of those old dotted morph suits? Unfortunately, I will not be wearing a morph suit – I think that would be so cool! The puppeteers, however, will have to wear green ones, which I’m told they hate! 7. The puppet of your character Sky is a model of yourself, did Sam simply work his puppet sculpting magic and voila – your mini me was created? Or did you have to sit still and stay put whilst your replica was made? There was no actual sitting – that would have definitely taken a long time! I visited Sam at his studio and he took photos of me at various angles that he could use in constructing the puppet. It didn’t take long on my part (maybe an hour?) though I’m sure the actual making of the puppet took much longer. 8. How involved were you in the decisions of the puppets design? I’m actually a huge fan of the puppet’s design. Evidently, I’m known for making a Mona Lisa smirk, and Sam appropriately yet subtlety conveyed that in Sky’s face. Her hair is very different from mine but that’ll be worked out in the film. And I absolutely adore and am a little jealous of her intricate costuming – I wish I got to wear it! 9. Have you got any future productions up your sleeve for 2013? You can also keep up with what Sumiko is doing on her website, or you can follow her on facebook or twitter. Also if you want to help Monster of the Sky get on its feet, head over to it’s kickstarter pagefor the chance to donate to the production in return for some pretty nifty Monster of the Sky swag. This looks great!Really like that cover illustration. actually one thing that I believe I’d never understand. It seems too complex and very wide for me. I am looking forward on your subsequent publish, I will attempt to get the hang of it!